This post edited and updated by Kathryn Vercillo. 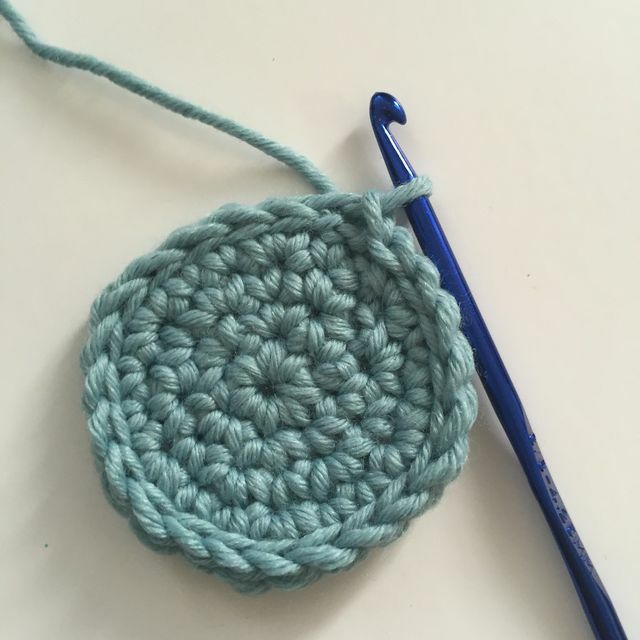 The simplest crochet coaster pattern is just to make a circle. You can crochet this is any type of yarn and make it as small or as large as you see fit for the glasses you'll be using. The single crochet circle is a terrific choice, since it is a dense circle, and it is ideally made using cotton yarn because this will absorb any moisture from your cups. But you can make any other simple circle work as a coaster as well; a double crochet circle would be another basic example. The basic granny square is another really simple design that can be used to make a set of coasters. Make each granny in a single color, perhaps creating a set of each color in the rainbow, or crochet each round of the granny square in a different color for multi-colored coasters. You can make them in holiday or seasonal colors as well. This is a project that never gets old! Again, cotton yarn is a great choice, but another good option is t-shirt yarn or fabric yarn. These, like cotton thread, will absorb any moisture evaporating from the glass ... and any heat off of warm cups. Here are some additional easy free granny square crochet patterns if you want to go beyond the basic granny for your coasters. If you want to keep it simple, but not quite as simple as a circle or square, then a heart-shaped crochet coaster is a terrific choice. These are the perfect table setting for romantic dinners but work for kids' Valentine's parties and other events, too. This free crochet pattern is by Jessie Rayot. She also offers a free square coaster crochet pattern. Any small crochet motif can be made into a coaster. Seasonally-themed motifs are always a great option when you want coasters for a party that you are hosting. These pumpkin crochet coasters are a free pattern by Ira Rott that are terrific for any Halloween or Thanksgiving gathering. The pumpkin pattern works for Thanksgiving but if you want a Thanksgiving coaster that is even more suited to the holiday, or you just want to have multiple crochet coaster styles at your dinner, then this free turkey crochet pattern ​by Yarn Pixie is another solid option. Another terrific Thanksgiving or fall theme is pecan pie crochet. These coasters from Crochet Memories will add yummy decor to your table. And you could change up the color of the yarn to create pies in different "flavors" for other dinner parties! Of course, fall isn't the only season that inspires coaster crafting. Coasters can be themed to any season of the year. For example, in the summer, your pool parties might be cuter with a crochet watermelon theme. Use this free coasters pattern by Ashley of Create Crochet. In springtime, your crochet coasters might take on the form of crochet flowers of crochet shamrocks. This one is by Tammy Arshi. Change the colors from green and you'll have a great floral coaster that you can use all season long. It's an easy way to brighten up any home! Here is a free pattern for a fabric crochet flower coaster. Here is another free crochet shamrock pattern. Sports offer a great opportunity to create themed coasters. Whether you're having a Super Bowl party or celebrating March Madness or watching The Olympics, you can whip up some crochet coasters that go along with the event. Football fans will find that this free football crochet coaster pattern by Katie Cooks and Crafts is helpful for decorating.